Hi Everyone! I majored in both Music and Government. When I started my college career, I knew that I was passionate about jazz music (Coltrane, Monk, Miles, Mingus, Ella) and wanted to pursue that passion in a serious way. So, I did. And it was great, except for the fact that the music major wasn’t so helpful on the job front four years later. That’s when I decided to stick around for another year to pick up a degree in government, which was actually a great life-decision because 1.) I love politics and 2.) The government department here is terrific. My final semester at the College was spent in our nation’s capitol with the W&M in Washington program. 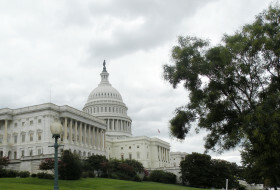 For those of you who are unfamiliar with this program, it’s basically an opportunity for students to take classes and participate in a full-time internship in Washington, D.C. Each semester revolves around a central theme, one that shapes the classes that are offered as well as the internship experiences that are available to students. 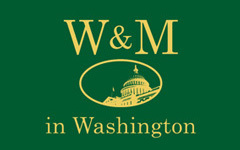 The purpose of this blog, then, is to chronicle my experiences with the W&M in Washington program from beginning to end in hopes of providing some insight for future students.